As I discussed earlier about Java WAR file and how to create war file in CMD previous sections. 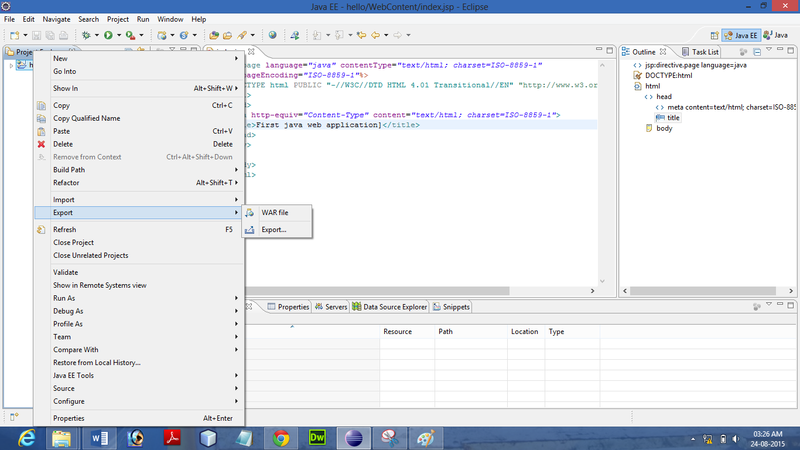 In this section we will discuss about "How to create war file in Eclipse IDE with the help of Images. 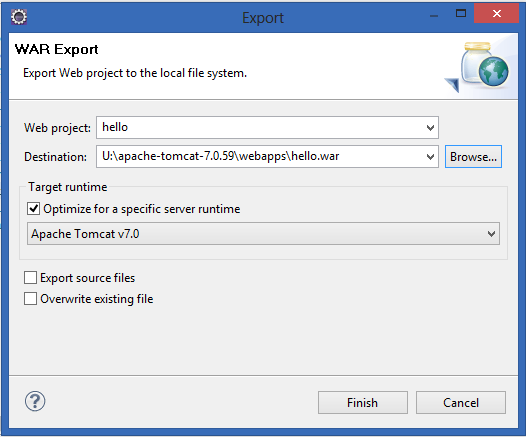 First of all open Eclipse and create dynamic web project which contains all the Dynamic and static resources like JSP and html. One of the Dynamic page takes one input from the user and calculate the factorial of this number and result will be shown on the other page. We will create the WAR file of this web Project. Step 1: Right click on the project and click on Export. Step 2: Select the WAR file and click on Next. Step 3: Enter the name and choose the destination and click on Finish. WAR file has been successfully created. You can see the WAR file in the choose folder.